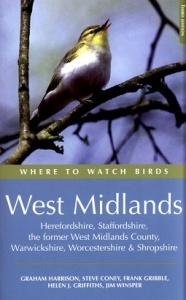 Features the counties of Herefordshire, Shropshire, Staffordshire, Warwickshire, Worcestershire and West Midlands County. This is a region of contrasts: from the bleak moors of Peak District to the mellow hills of the Cotswolds; or from the wooded hillsides and streams of the Welsh border country to the lush valleys of the Avon. This third edition has been extensively revised and updated, with several new sites added and some existing site accounts considerably expanded. It is the essential tool for anyone birding in this rewarding region. 343 pages, 53 maps, 24 line drawings.